Am I wearing the right sporting gear? Am I using this weight machine wrong? Should I be lifting heavier weights? Do I look stupid on this exercise machine? These are questions that run through my head while I am at the gym. I rejoined the gym this week, and have gone three times so far, and it’s always a bit of a struggle to go. Not because I don’t want to workout, but because my anxiety levels rise whenever I go to the gym. I know that there is a certain level of nerves that come along with joining the gym for most people. It’s a place where it is easy to feel judged on your looks and technique, and it is easy to feel self conscious. However, my anxiety takes these nerves to a whole new level. Often I need to find the courage to go, and shamefully, I sometimes fail to do so. A major factor of my anxiety is other people’s perceptions of me. Again, I know that everyone cares what others think of them to some degree (and if you completely don’t, I envy you! ), but my anxiety makes me analyze any sort of interaction. And by interaction I don’t just mean a conversation, I’m talking about even the slight glance of a stranger. My anxiety starts on my walk to the gym. Walking through my university campus in my sports gear makes me feel like everyone’s eyes are on my, judging me on my leggings (are they too tight? ), on my top (is it too short? ), on my sports bra (is it see through?). It’s not a relaxing walk for me; it’s a very anxious process. Once I get to the gym, my anxiety shifts to my technique. When running on the treadmill, I am aware of everyone around me, and often convince myself that people are judging me for going too slow. When the group of girls next to me are whispering, I am convinced it is about me, even though I can’t hear a word through my music. When I am lifting weights, I am convinced I am being scrutinized on the way I am lifting them. And when I can’t push through my last set of leg lifts, I feel a sense of failure from everyone around me. By writing this all down, I am aware of how stupid it sounds. As if people that I have never met at the gym care about the way I run or lift weights. As if random people on the street care that I am wearing sports leggings instead of jeans. It’s a logical afterthought now, but while I am going through it, my anxiety overshadows it. My anxiety convinces me all these thoughts are valid and logical, when they are clearly not. Nevertheless, I have gone to the gym three times this week, and plan to go a fourth. I fight every time to not let my anxiety stop me from doing what I love; living a healthy lifestyle. 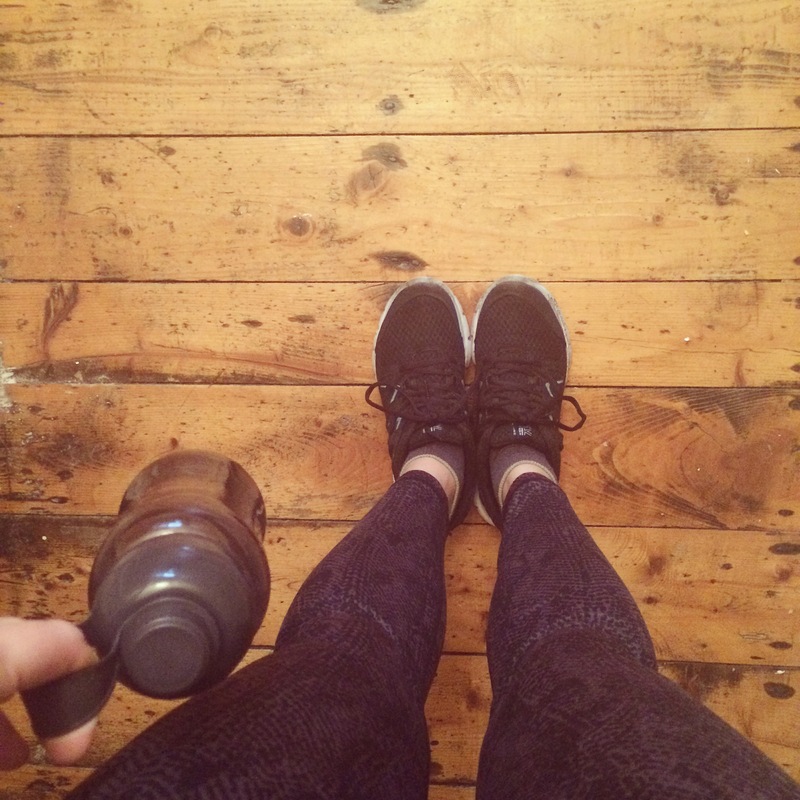 Let me know if you have had anxiety surrounding going to the gym, I would love to hear about it! My Travels Through Instagram (part 1): Romania, Bulgaria, and Greece. My Travels Through Instagram (part 2): Scotland.